This guest post is brought to you by Frank and Vera from Frank About Croatia. 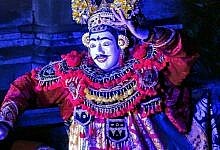 They share their insider tips for making the most of your trip to this beautiful country on a small budget. I moved to Croatia from Canada almost ten years ago without really planning it. I haven’t even known much about Croatia prior to moving here. But I sure did get lucky. Croatia is a beautiful country with amazing nature, succulent food, great wine, hospitable people, and a lovely coastline. 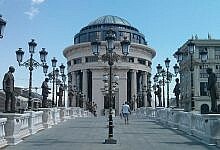 Croatia is popular for its coastline, over 1.000 islands, pebble beaches, and historical towns with limestone buildings. 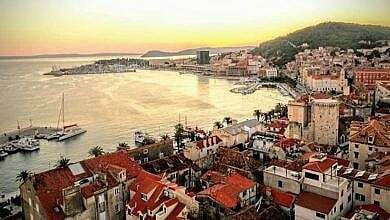 However, continental Croatia is as charming: from the plains of Slavonia, dramatic mountains of Gorski Kotar, the Lakes of Plitvice, and the hilly area of Zagorje in Northern Croatia, Croatia is much more than a pretty coastline. The country has many hidden corners to discover. But it would take a slow travel to explore all the hidden gems Croatia has to offer. I’ll rather take you to places not to be missed. 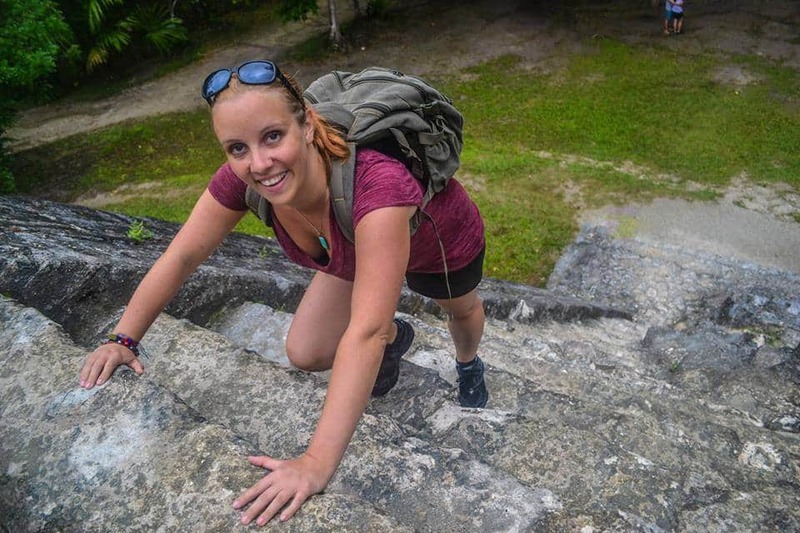 The places where you’ll be able to explore the ancient cities, enjoy a decent nightlife, soak up the sun, stay on budget, and meet fellow travelers with whom you can share these amazing moments and create memories. 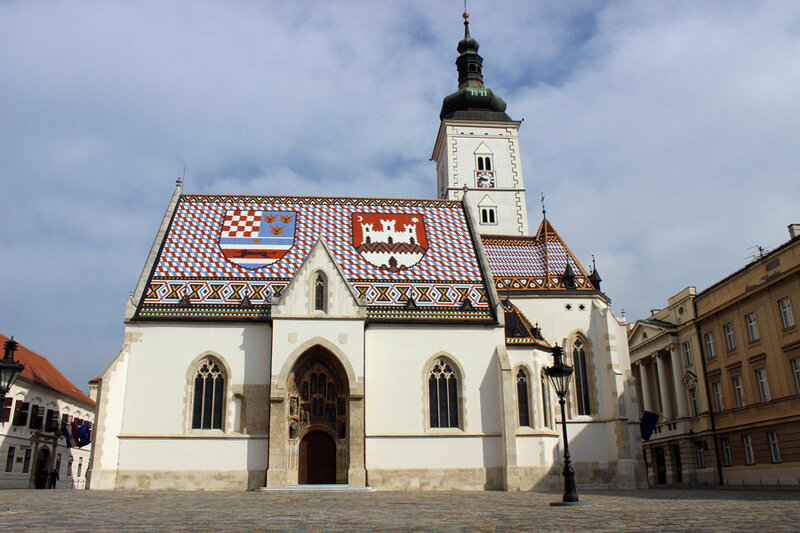 If you are looking for a place in Croatia bustling with people, full of exciting restaurants, bars and cafes, and a good nightlife, you’ll most probably find it in Zagreb. 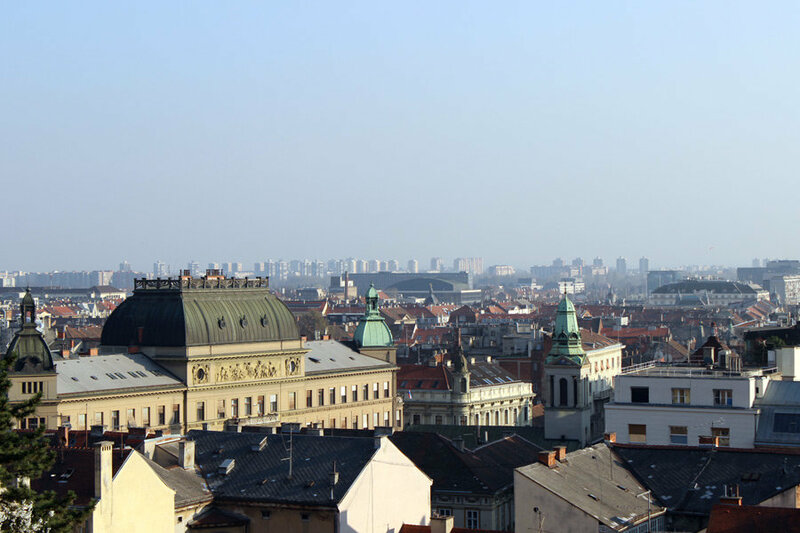 Zagreb, the largest town, and a capital of Croatia, is definitely a fun place to visit. All the major landmarks, the city center, the historical Upper Town and Kaptol, parks, museums, a farmers’ market Dolac, are within the walking distance one from the other. Zagreb’s city center has a large pedestrian zone with buzzing cafes and bars and lovely terraces. The Upper and Lower town are linked by funicular. 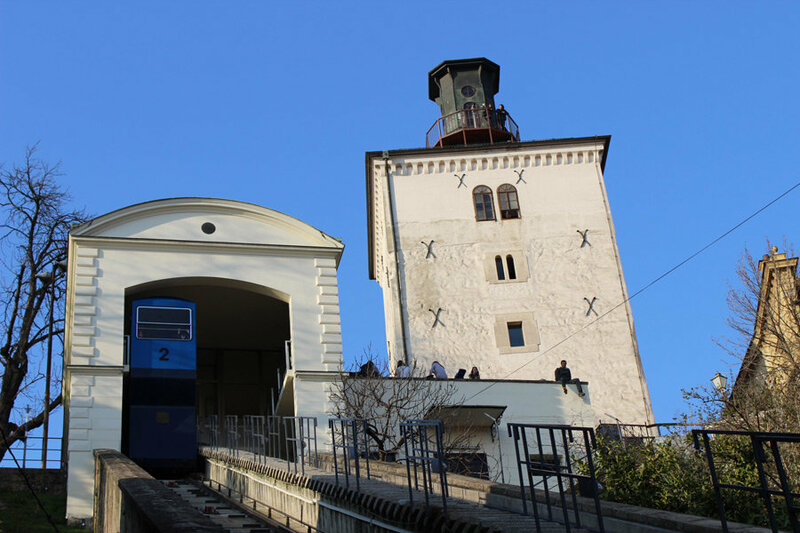 Don’t miss the funicular ride. It’s pretty short, and costs only 4 kn (approx. 0.6 €). Once up, explore the Upper town. This is my favorite neighborhood in Zagreb. This is a historical area of Zagreb, and it’s still relatively quiet and peaceful. You’ll feel like stepping back in history. Buildings are lovely, views over the town and red-tiled roofs are stunning. There are few bars in the upper town (our favorites are Molokai, and Palinovka), the oldest Zagreb’s pub (Pod starim krovovima), and few restaurants (our favorite one is Prasac; it’s expensive though). The Upper town is also a home of the famed Museum of Broken Relationships. Explore this fun and unique collection of items from past relationships, each with its own story. 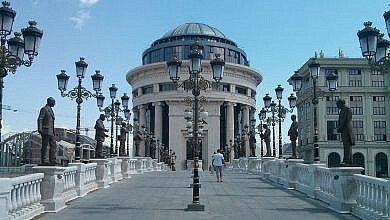 Have a stroll in Tklaciceva Street, and enjoy a drink in one of many bars along the street. Spend a morning browsing at the Dolac market, the main farmers market in Zagreb. Relax, nap, or have a picnic in Zrinjevac Park. If you enjoy myths and legends, and you like to step off the beaten path, check out Secret Zagreb Walking tours. They even have a Zagreb Ghost Tour that takes place at night time. Zagreb has an excellent choice of budget accommodation. We like a lot Swanky and Chillout hostels. For self-catering apartments check Zig Zag and InZagreb apartments. Budget hotels include the centrally located 2-star Jadran Hotel, and the Garden Hotel. Mid-range hotels include hotels Jagerhorn, International, and 9. The sandwich bar Pingvin is one of the oldest sandwich bars in Zagreb and it is open 24 hours a day. It’s a fixed kiosk with few outdoor tables. The Pingvin has a great choice of sandwiches and good prices. The tavern Da Piero, located at the Dolac green market, offers lunch menu for as low as 20 to 40 kn (2.6 € – 5.2 €). Nothing fancy, but it is a very good value for money. The place is very busy with locals at the lunch time. If you fancy fish dishes that don’t cost a fortune, visit the restaurant Ribice i tri točkice in Teslina Street. I love their playful and colorful interior, and a street terrace for eating outside. The food is fresh, service is friendly, the restaurant is centrally located and inexpensive. For a quick bite, stop at the Fries Factory, a French fries joint located at the main square. Their menu is simple: French fries with a variety of dipping sauces. If you are a vegan, or a vegetarian, you’ll enjoy the Vegehop restaurant in Vlaska Street. This is a tiny place, with a relaxing atmosphere, delicious vegan food and affordable prices. The largest coastal town, and the second largest town in Croatia, Split has an amazing vibe and a real Mediterranean feel. The old town is located within the Roman palace with historical buildings and artifacts at every corner. Split, in many ways, is as exciting as Zagreb, plus it has the beaches. Yeah, baby! It’s a must visit place in Croatia. 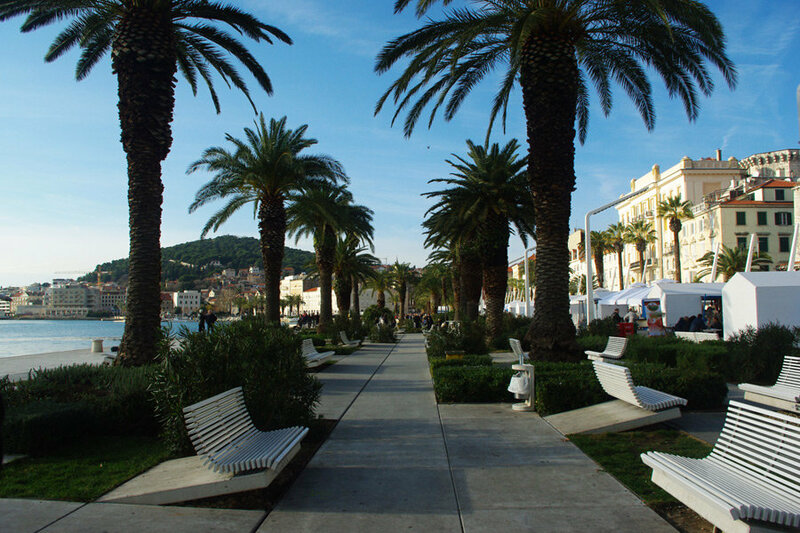 The seafront promenade is not to be missed. Sea on one side, and an old palace walls lined with cafes on the other side, the seafront promenade, or Riva as locals call it, is an integral part of Split’s identity. Just do like locals do, stroll up and down the promenade, and take a few hours at the terrace to enjoy your coffee and watch the world go by. 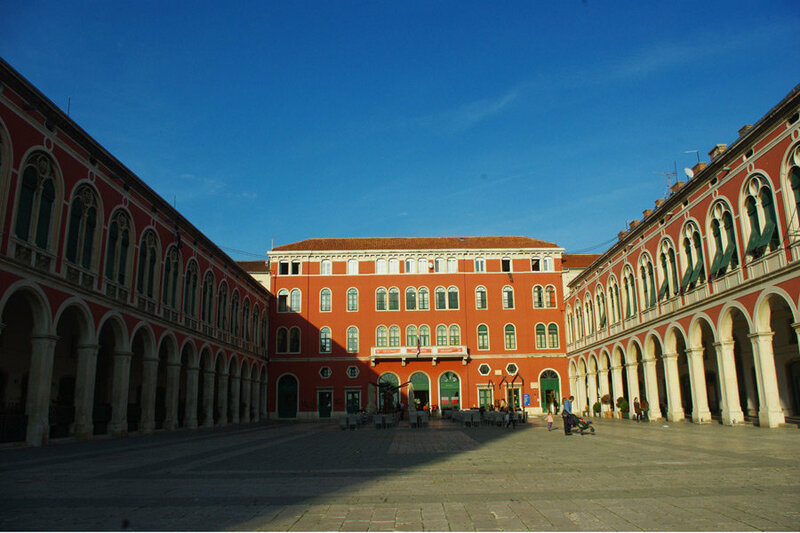 Diocletian’s palace is the most unusual palace we know about. This is not a historical building you pay an entrance fee to explore. 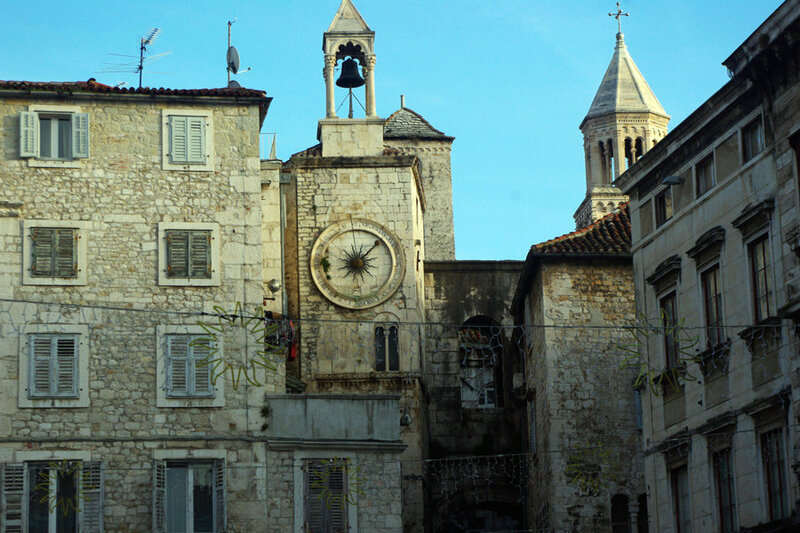 Inside the palace’s walls is the entire old town of Split where people live, work and play. Explore, explore, and then explore it some more. You’ll never get tired of discovering Split’s old town with its cobblestone alleys, limestone buildings, town’s gates, and hidden courtyards. The Bacvice beach is a sandy beach located in the heart of the town, only 10 minutes’ walk from the old town. The locals love Bacvice Beach. During the day, you can enjoy a drink there, have a swim, or play a game of picingin (a local sport played in shallow water with a small ball). At the evening, go for a stroll. And at the nighttime dance a night away in many bars, and clubs at the Bacvice beach. The Marjan hill is located short walking distance from the old town. This is a lovely forest park and locals’ favorite recreational spot for jogging, hiking, and rock climbing. Views from the hill over the town are stunning and well worth a climb. There is a nice café Vidikovac where you can enjoy a drink with the view. Tourism in Split started developing not so long ago. Tourists were mostly staying in Split for a day, before heading to the islands or other tourist towns. However, in the last ten years, more and more people choose Split as their main base to explore the other surrounding places. As a result lots of new self-catering apartments pop up every day, as well as small boutique hotels and cool hostels. For self-catering apartments check AirBnB or a local site ClickSplit.com. 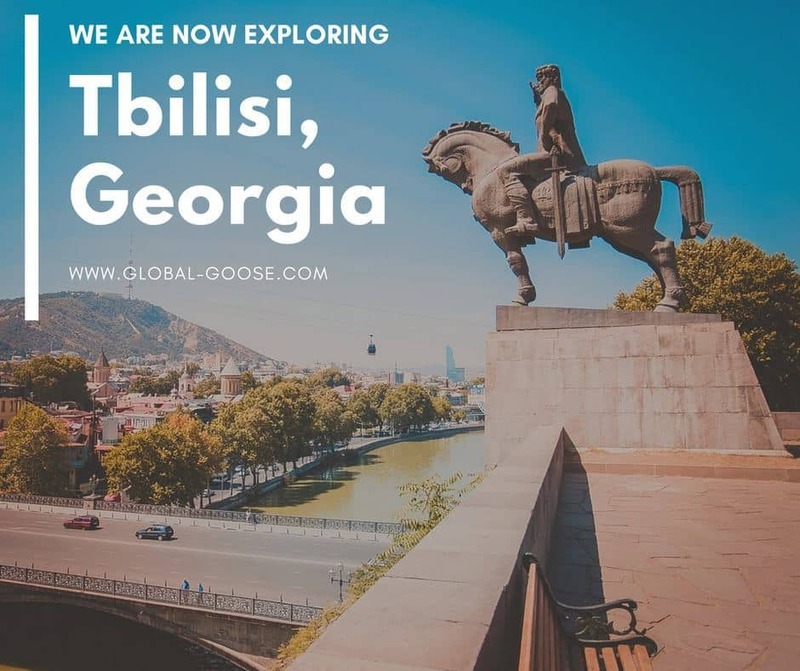 For budget accommodation, you can find a good deals with the hostel Goli i Bosi, Apinelo Hostel & Apartments, and Nirvana Rooms & Apartments. The best places to eat in Split on budget are taverns where locals eat. The tavern Fife, in Matejuska, is an excellent place to eat. It’s very well located, just 5 minutes’ walk from the palace, and it serves traditional Dalmatian meat and fish dishes for affordable prices. Another great restaurant that looks like nothing if you judge it by its interior is the tavern Dioklecijan. But this place has been feeding people of Split for decades. And it has a wonderful terrace looking over the seafront promenade. Relatively new, the restaurant Spiza is the tiniest place you can imagine. But the food is delicious, fresh, and very affordable. 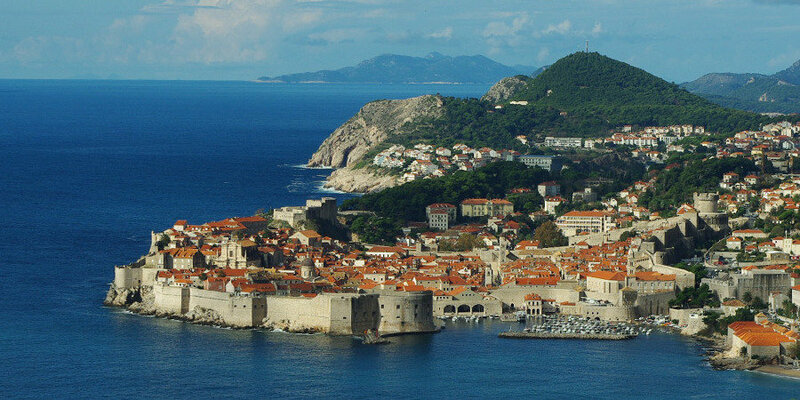 Dubrovnik is the most popular tourist destination in Croatia. Three images pop up in my head immediately as I think about Dubrovnik. It’s pretty. It’s crowded. It’s expensive. And it’s definitely a must-visit place in Croatia. Stroll through the old town. 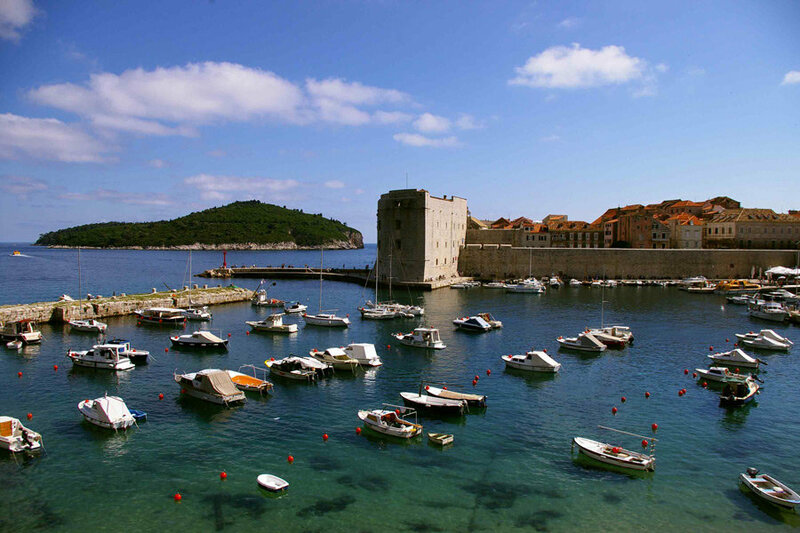 Old town Dubrovnik is located on a small peninsula, surrounded by centuries old fortification walls. It’s fairly small but it’s full of character, historical buildings, museum, churches and palaces. Make sure you stop by the old port for a drink or light lunch. Walk the town’s walls. Obviously a “must-do” thing when in Dubrovnik, the town’s walls are almost 2 kilometers long. Make sure to bring some water, and to wear sun protection. The walk includes some climbing here and there. The views over the red-tiled roofs, the main street, and the sea are simply stunning. The admission fee is about 12 €. If you could only do one thing in Dubrovnik, this would be the thing to do. Chill out at the Buza Bar. Buza is the cutest bar I’ve seen. The word buza translates as a “hole”. Perfect name for this tiny bar, a hole in the wall, carved into the cliffs of the town walls. It gets really busy at sunset, as it’s a great place to unwind at the end of the day. Party with locals at the Galerie Bar! This is one of the few bars in the old town still frequented by locals. Located in one of the steep side streets from the main street, it’s popular for the bucket cocktails (cocktails are served in buckets – doesn’t that just scream party?! ), affordable prices (bars in the old town are extremely expensive, at least for Croatian standards), and generally good vibe. Explore the haunted island of Lokrum. But don’t worry the Lokrum curse only goes to “Whosoever claims Lokrum for his own personal pleasure shall be damned!” The island is only 600 m off the coast of Dubrovnik, and it’s a great place to get away from the crowds. Relax by the sea; enjoy swimming, snorkeling and cliff jumping. You can walk up to the top of the hill for fabulous views over Dubrovnik. 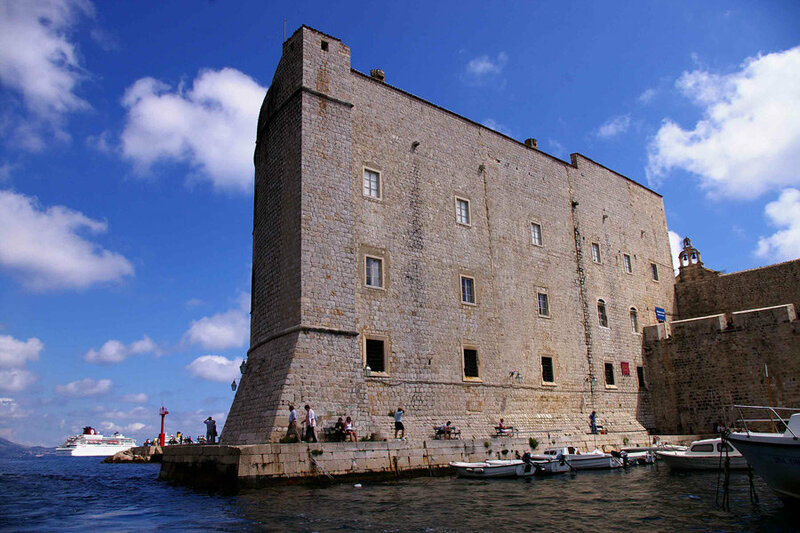 When deciding on your accommodation in Dubrovnik, you need to keep in mind few things. 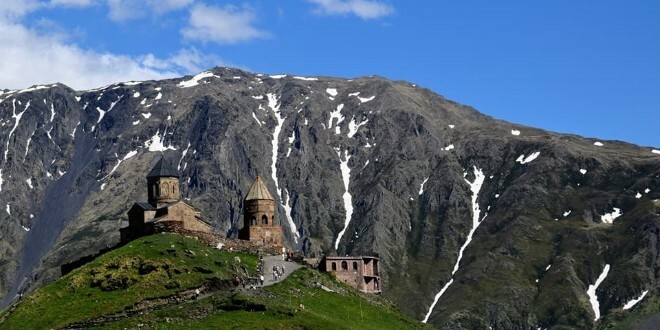 The accommodation in and around old town are usually more expensive, and scarce in a high season. Many apartments out of the old town are located on a steep hill. It takes lots of stairs to reach them, but for this same reason, many come with the great views over the town. There are many rooms and self-catering apartments to rent, and while there are many properties calling themselves hostels, they don’t always come with a common area where you can sit and meet fellow travelers. We like Fresh Sheets Hostel in the old town, and the hostel Backpackers Club on the Lapad peninsula. 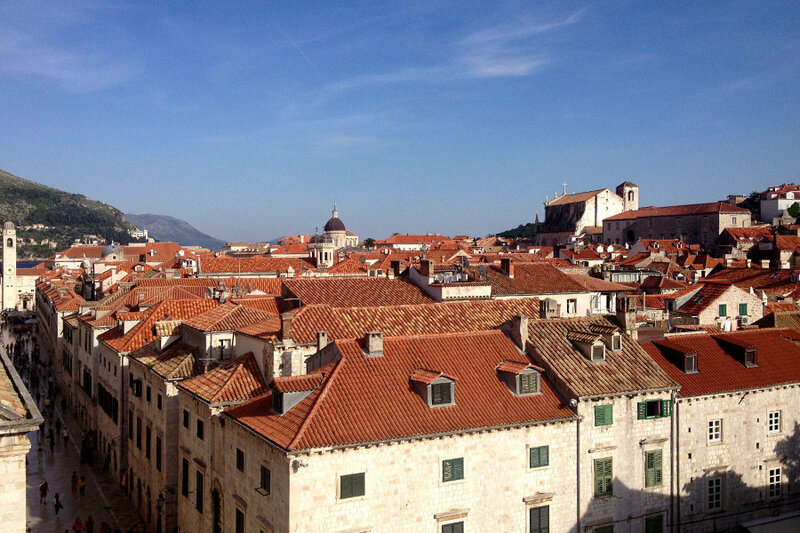 We’ve already mentioned that the old town Dubrovnik is really expensive. However, there are few affordable places where you can have a light lunch or dinner for 5 to 10 €. The seafood restaurant Lokanda at the old port has a great seafront terrace, and serves simple seafood dishes (calamari, seashells, etc.) for affordable prices. Everything is served in small pots rather than in plates. It adds to the experience. The Kamenice is another excellent and cheap seafood tavern. This place is located right at the Dubrovnik’s green market. And it’s probably the cheapest restaurant of its kind in Dubrovnik. The portions are generous, and everything is fresh. Probably the backpackers’ favorite place to eat in Dubrovnik is the fast food Presa. Located right off the main street in the old town, the Presa offers an excellent choice of salads, grilled meat, sandwiches, and few side dishes. Prices range from 2 € to 5 €. Do you have any questions for Frank and Vera about Croatia? Please leave your comments below! PS. 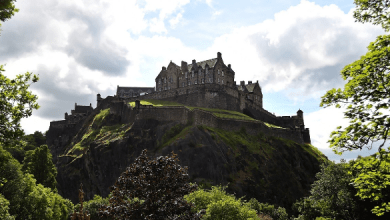 Want to beat the tourist crowds and get cheaper prices? Consider visiting Croatia in the autumn. Croatia is one of those countries that I know far too little about, but desperately want to visit! 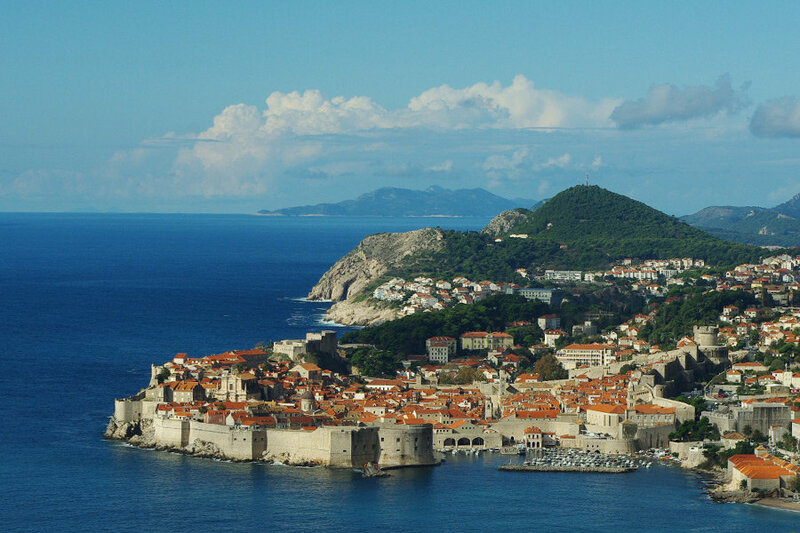 Dubrovnik in particular looks amazing. These all sound amazing! I’ll keep this in mind as I plan my trip. Great travel tips and money saving tips (I love Presa in Dubrovnik). Being a local, one thing I don’t get is tourist fascination with Buza Bar in Dubrovnik. It is a great place for sunbathing and sunset as you said but it is way overprices for the offer and service you get (tip:you can enjoy the sunset at that place without spending the money in the bar).